At A Way of Life Hair & Health Center, we employ fantastically experienced professionals that will find the perfect facial to fit your needs. We also offer body wraps, microdermabrasion, and body waxing. Please call for more information. Having manicured nails can really brighten up your day and your outlook. We provide pampering manicures and pedicures that make you feel like royalty. You can choose from a wide selection of colors and manicure styles. From classic French to bright and beaming colors, you can have the nails that complement your look. In addition to natural nail treaments, we also provide acrylic and gel nails. Relax your mind and body with this Japanese healing technique. 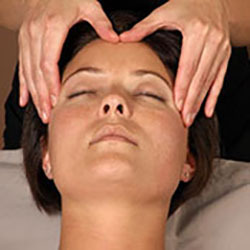 A reiki session can ease stress and tension, and can help support physical, mental, and emotional healing. Choose between a one hour or thirty minute session. For the latest color trends, and stylish hair cuts, look no further. Our outgoing stylists will exceed your expectations! We provide a wide range of hair services for men, women and children including corrective color, highlighting, hair extension, and restructuring. Let our innovative staff help you find your personal style and keep you looking your best. Call in today for your FREE consulation.